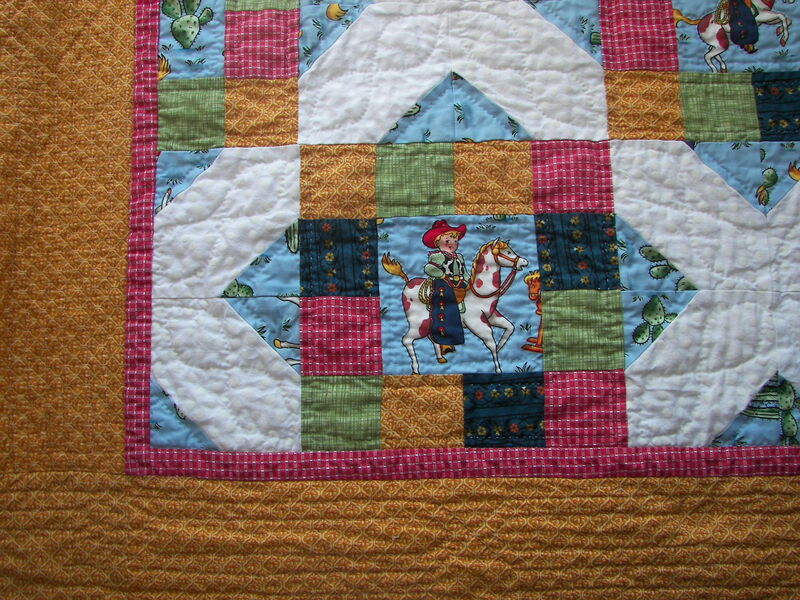 I made this quilt for my newest nephew. 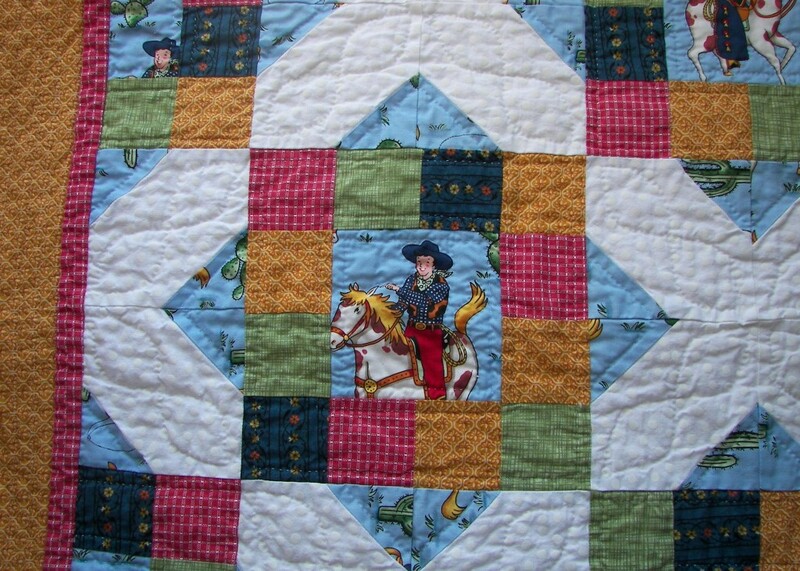 His quilt is the third in a series – his sisters received baby quilts made with the same pattern, but different fabrics. Niece #2’s quilt is the framed ducks quilt. 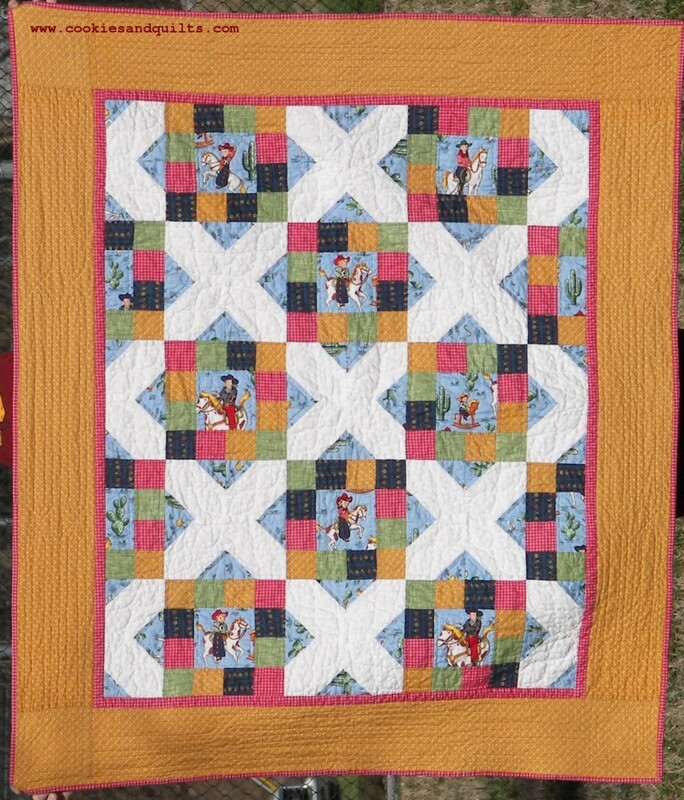 Niece #1’s quilt was actually the first quilt I worked on – I designed the pattern, my mother and I pieced it, and she quilted it. I finally got a picture of it at a recent visit. It’s about eight years old, but is hanging in like a champ! 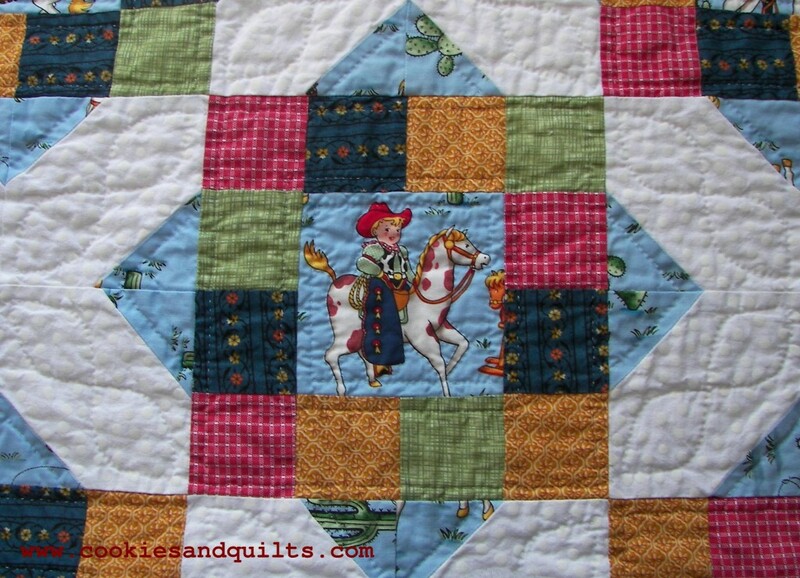 I’ll include the photo in my tutorial for this quilt pattern (coming soon… I hope). 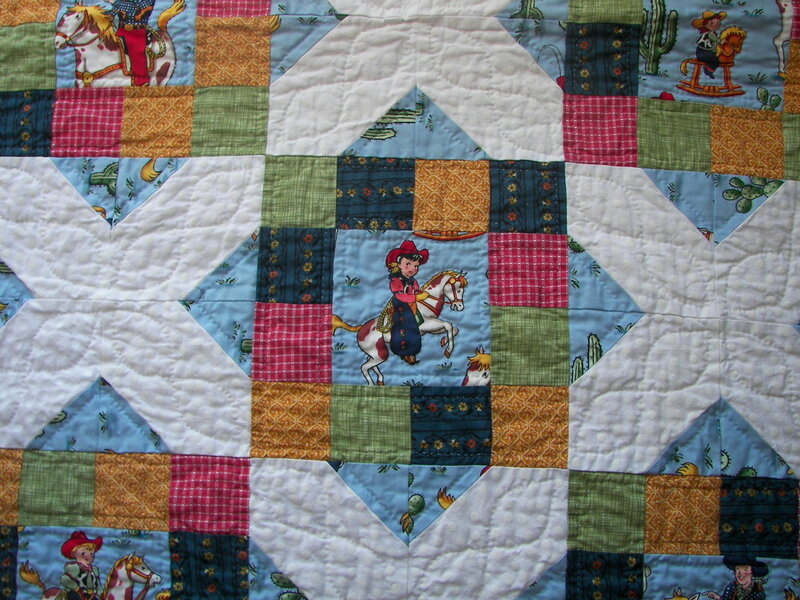 I hand-quilted this quilt, including outlines around the cowpeople, cables along the border, and in-the ditch quilting. 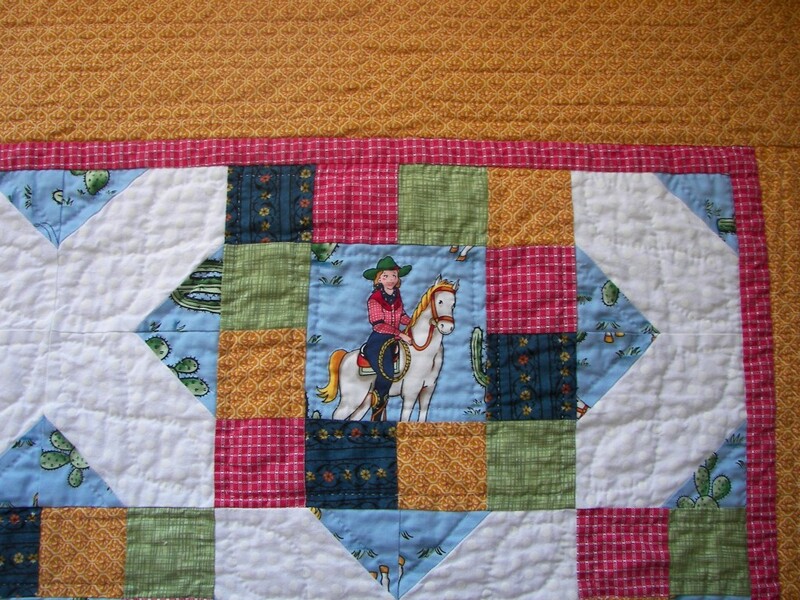 It is a fairly heavily quilted blanket, but I want to make sure it lasts! 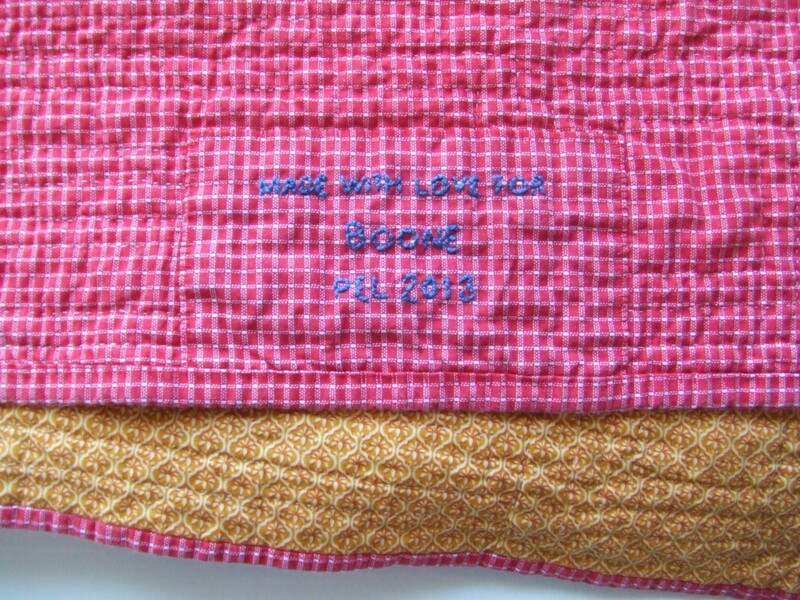 The blanket dimensions are 49” high and 40.5” wide.